Welcome to Buy here pay here Orlando Car Deals. Be sure to visit our virtual showroom of inventory available for purchase. There you will see detailed information about each vehicle, a picture gallery, as well as convenient ways to contact us for more information about that vehicle. We are located at 8900 S US Hwy 17-92 and are available by phone at 407-613-2271 . You can also get driving directions and hours of service from our user friendly website. We are your second chance at good credit. 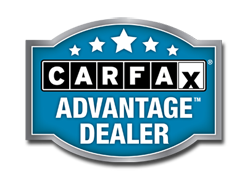 At Orlando car Deals we give you the chance you are looking for. We offer buy here pay here type loans with no credit check and help rebuild your credit by reporting your on time payments to the 3 credit bureaus. The interest rates we offer for buy here pay here are lower than most dealers in the country.